Directed by Greg MacGillivray, this 47-minute IMAX documentary will take you on an amazing visual journey as it follows the lives of a mother polar bear and her two seven-month old cubs. Narrated by Meryl Streep, TO THE ARCTIC 3D also highlights the plight of the animals who call the arctic home and how global warming is having a detrimental effect on their habitats. 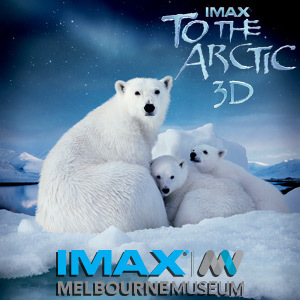 Apart from the polar bears who are the star billing of this film, other animals included in the cast are the caribous and walruses as they come to life on the giant IMAX screen. The IMAX screen also highlights the natural landscapes of the Arctic from the almost perfect glaciers to the giant waterfalls and the rugged mountains of this area. One word sums this up perfectly... spectacular! There however are a couple of disjointed aspects of the documentary such as the original songs written by Sir Paul McCartney which at times causes some conflicts with the main themes of the documentary, including the instrumentals. It's a weird amalgam. Thankfully the powerful story of the mother polar bear and her two cubs more than makes up for the strange choice of lyrics in these songs. Streep on the other hand does a good job at telling the story of these creatures, especially in relation to their plight and the effects of global warming with a hint of warmth and professionalism. Unfortunately as the ice continues to melt in the Arctic, the food source of polar bears is becoming more scarce, especially in relation to their favourite food group seals. Given that, there are a few frightful scenes in the documentary that may scare a few younger children. 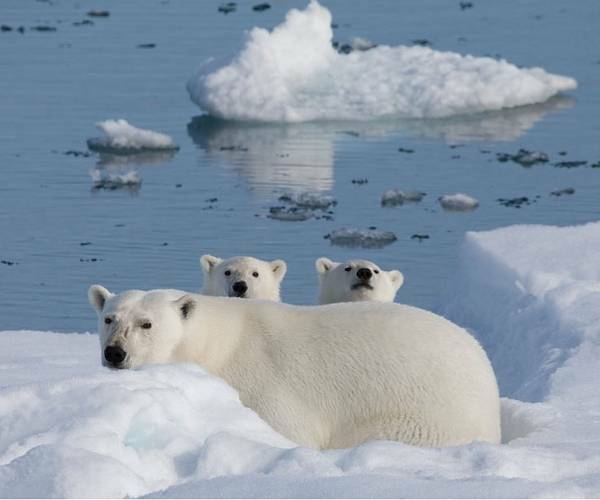 There is an uncomfortable scene in the film that has the mother polar bear and her two cubs fleeing from a male polar bear. Considering that he is almost twice the size of the mother, his hunger has turned to cannibalism. Fortunately as the documentary is rated G, there is a family friendly outcome in sight. With that said, To the Arctic 3D is not all about doom and gloom as there are several moments in the film that will melt your heart such as the two young cubs playing with each other or their mother teaching them how to swim or hunt. The biggest fun fact that I learnt from this film was polar bears were originally brown bears from Europe and as they evolved, their colour changed from brown to white. The documentary even gives the viewer a behind the scenes of the filming, noting that Polar Bears are one of the world's most difficult animals to film. The filmmakers even tried to use remote controlled cameras to sneak up closer to the bears, however their curiosity with these cameras was quite fatal to the technology. The filmmakers vowing to make stronger cameras next time. Another brief segment involves the Inuit of the Arctic who have seen a drastic change to the landscape who noted that although they can adapt to these changes more readily, it is making it quite difficult for the animals. All in all, To the Arctic 3D is a short yet entertaining snapshot of one of the world's most harshest climates as we follow researchers who track the caribous on foot to study their migration patterns, a camera man who has a close encounter under the ocean and sunbaking walruses who grunt and fight as they enjoy the summer months. 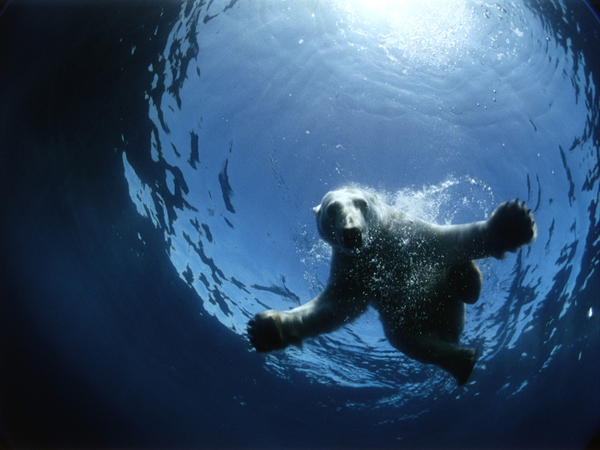 But the stars of To the Arctic 3D are the polar bears that will leave you ooing and ahing at their heart warming story. Recommended for the entire family!